One of the most prevalent conditions impacting people’s oral health is gum (periodontal) disease. 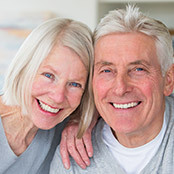 A recent study shows that one in every two people over the age of 30 has some form of periodontal disease. Compounding the problem is the fact that the numbers continue to rise. In an effort to better educate you and enhance your oral health, your local dentist weighs in to explain the different stages of gum disease and how to prevent it from developing. Gingivitis – The initial stage of periodontal disease involves puffy, swollen, slightly irritated and bleeding gums. Thus, you may notice warning signs like bleeding when you’re brushing your teeth. It’s important to act during this phase because it’s the only one where the damages can be reversed. Moderate Gum Disease – Once you get to this stage, you may experience permanent damage to the fibers and bone that hold your teeth in place. 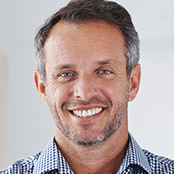 Periodontitis – Ignoring the infection and allowing it to grow can lead to the destruction of your roots and the other connecting tissue that ground your teeth in your gums. At this stage, you could experience tooth loss and other health problems related to the advanced infection in your gums. 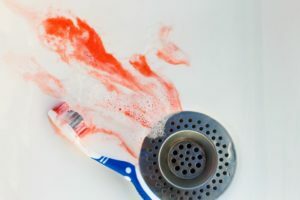 If you are seen in the fledgling stages of gingivitis, your dentist can advise you on better toothbrushing and flossing strategies and other ways that you can improve your oral hygiene. For more advanced cases, he or she may recommend that you use a prescription mouthwash or even have a root planing and scaling procedure done. The latter consists of your dentist in Enterprise cleaning beneath the gumline and smoothing the roots of your teeth to lessen the attraction of bacteria. Whatever method is used, the most important piece to the puzzle is how you care for your teeth at home. Whole Foods – Eating a diet with more fruits and vegetables helps to create a healthier environment inside your mouth and limits bacteria growth. Practice Oral Hygiene – Your willingness to practice excellent oral hygiene is very important because it cleans away leftover food particles that bacteria love to cling to. The two main practices that should be part of your regimen are toothbrushing and flossing at least two times a day. Maintain Semi-Annual Visits – Your six-month appointment with your dentist in Dublin will also provide you with clean teeth, where built-up plaque and tartar are removed. Additionally, you’ll receive a thorough examination to check for any oral problems like cavities, gum disease or other issues. To ensure that your mouth, teeth and gums are as healthy as they can be, reach out to your dentist to schedule an appointment today! With an academic background in biology, biochemistry and dentistry, Dr. Tyler Schaffeld has a wealth of knowledge to make him a well-rounded dentist. He passes it on to provide his patients with the absolute best care and can be reached for more information through his website.